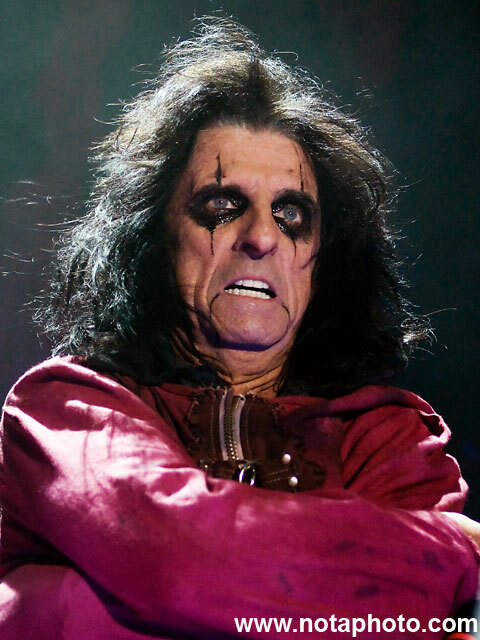 The cool kids would never contemplate it let alone accept it, but Alice Cooper > Iggy Pop and basically the classic Alice Cooper band (when it was the name of the band, not just the singer) > The Stooges. 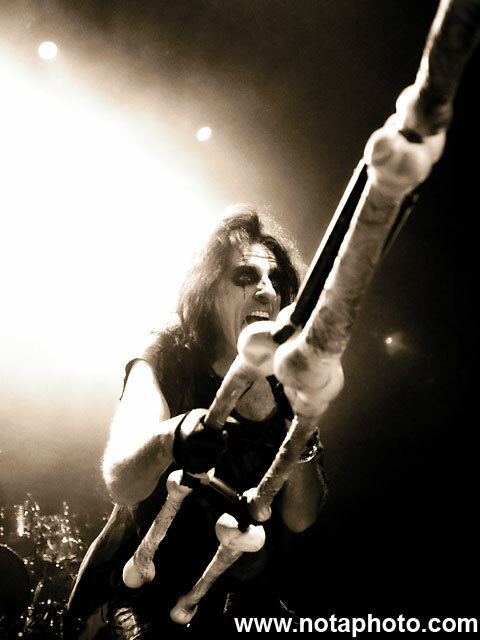 Alice Cooper was one of the first things I ever got into and I’ve got more albums by him than anyone else in my collection. There are a lot of them and there’s a lot of good stuff in there (as well as some REALLY bad stuff). In a lot of ways there’s a real ‘Bowie’ approach to his music; he’s a bit of a chameleon and his musical direction changes every few albums. The first couple of albums are very Psychedelic and sound like Love, then there was the classic rock/glam period of Love It To Death (one of my very favourite albums), Killer, School’s Out, Billion Dollar Babies (although the Alice Cooper band period ends with the disappointing Muscle of Love), the classic solo album period with Lou Reed’s backing band, in particular Welcome To My Nightmare and Alice Cooper Goes To Hell, a variable period of good and average albums in the late 1970s/early 1980s, including a brief sojourn into New Wave with Flush The Fashion and Special Forces, the excruciatingly bad/hilariously funny Zipper Catches Skin (featuring the ‘unforgettable I’m Alive (That Was The Day My Dead Pet Returned to Save My Life), the really intriguing Fairlight-based DaDa (which thanks to his alcoholism he sadly has no memory of making), the largely forgettable mid/late 1980’s ‘comeback’ albums of Constrictor and Raise Your Fist and Yell and the mega-successful-but-not-actually-that-good Trash and Hey Stoopid, the less successful but really excellent The Last Temptation, the darker/heavier, industrial sounding Brutal Planet and Dragontown, a attempt to return to a more classic early 1970’s sound with The Eyes of Alice Cooper and Dirty Diamonds and finally a return to the mid-70’s solo period with Along Came A Spider. Even though recent albums could never be classed as true classics, there’s still a handful of songs on each of these albums that hold up well to the best of his work. Despite continuing to make music, and some of it being very good, it’s depressing to see him being interviewed and hearing the same questions about playing golf, getting killed on stage and having his daughter tour with him. Sadly no one seems to want to know about the music. So getting to photograph him is a really big deal for me, especially after having missed out on the photo op last time he toured, and I also came close to missing out again this time. Checking out the set list whilst waiting in the photo pit only builds the excitement; so many classic songs, as ever really focussed on the 1970’s golden years, even though he has a new album to promote. Annoying the photo pit is really narrow and with so many photographers, it’s a case of claiming a space and pretty much having to stay there for the three songs. I end up in a fairly good spot, a few in from the end but in a lot of ways it didn’t really matter much as he works the stage really well, giving all the photographers something to work with. The three songs go by in a flash and everything is so quick that I don’t take any photos of any of the band. Annoyingly the fourth song, played whilst we’re being escorted from the pit and whilst I’m being directed to my seat is ‘The Ballad of Dwight Fry’, one of his best songs and a personal favourite, and I also manage to miss the first of his onstage executions whilst walking towards the back. My seat is in Row S. It’s not the very back of the Convention Centre but isn’t far off it. It’s a bit of a come-down from being in the very front, with all the onstage madness happening right in front of your face. Disappointingly the show doesn’t really work from this far back. Iron Maiden can play at the considerably larger Entertainment Centre and I can be in the very back row (as I was on their last tour when I bought a last minute cheap ticket on eBay on the day of the gig) but the stage set-up and the show is so huge that it projects to the very back. 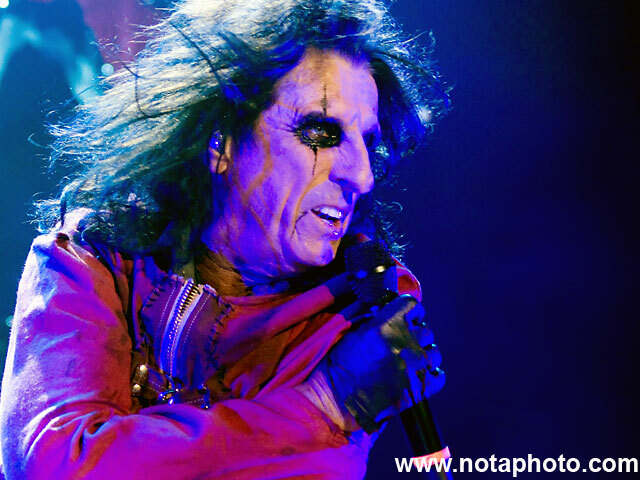 But the Alice Cooper ‘Theatre of Death’ tour is a lot more intricate and you really need to be close to get the full impact. From back here the subtleties are lost and at some points it’s like watching the audience close to the stage enjoying themselves watching Alice Cooper. Also the sound is less than ideal at the back, booming and echo-ey, even though you couldn’t fault the choice of songs being played. Still, to get to photograph one of my musical heroes was a real thrill for me and I’d jump at the chance to do it again. Hopefully it won’t be too long before he’s back again and next time I’ll just have to try to get a ticket a lot closer to the stage. For the non-believers, here’s some classic 1972 Alice Cooper for you; Public Animal #9 from the School’s Out album. And as this is allegedly a photoblog, heres an excerpt from a David Bailey documentary featuring Alice Cooper photo shoots for Vogue and the images for the 1973 ‘Billion Dollar Babies’ album cover. This entry was posted on Monday, February 1st, 2010 at 10:52 pm. 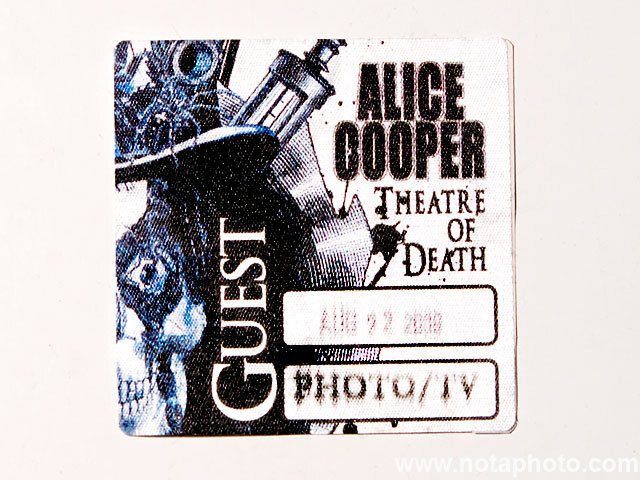 It is filed under Music Photography and tagged with 2009, Alice Cooper, BCC, Brisbane Convention Centre, Justin Edwards, Rave Magazine, Sony a700, Theatre of Death. You can follow any responses to this entry through the RSS 2.0 feed.